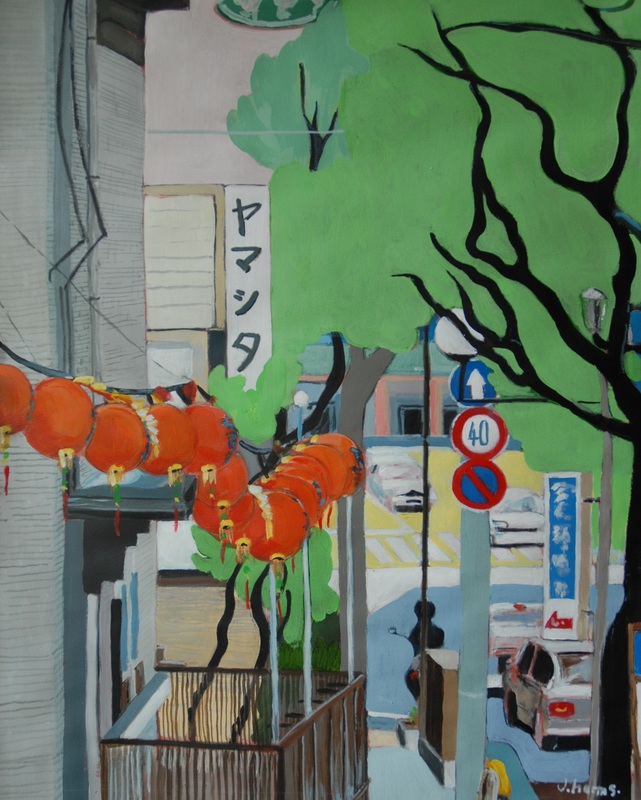 Walking To Mesubenomori Park 2010 | J.Harms. At the bottom of the hill is Ume Saito, the big mall. If I turn left I’ll end up walking along the China Sea. Another lantern festival… The weather is cool, the street buzzes with engines running… or waiting for the lights to turn green… I’m probably going for a stroll at Mesubenomori Park overlooking the sea… My favorite place.